Water-shedding surfaces that are robust in harsh environments could have broad applications in many industries including energy, water, transportation, construction and medicine. For example, condensation of water is a crucial part of many industrial processes, and condensers are found in most electric power plants and in desalination plants. Hydrophobic materials — ones that prevent water from spreading over a surface, instead causing it to form droplets that easily fall away — can greatly enhance the efficiency of this process. But these materials have one major problem: Most employ thin polymer coatings that degrade when heated, and can easily be destroyed by wear. 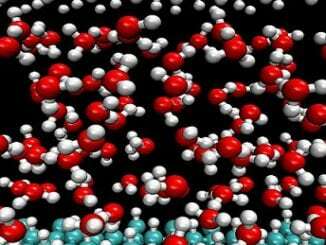 MIT researchers have now come up with a new class of hydrophobic ceramics that can overcome these problems. These ceramic materials are highly hydrophobic, but are also durable in the face of extreme temperatures and rough treatment. The work, by mechanical engineering postdoc Gisele Azimi and Associate Professor Kripa Varanasi, along with two graduate students and another postdoc, is described this week in the journal Nature Materials. Durability has always been a challenge for hydrophobic materials, Varanasi says — a challenge he says his team has now solved. Ceramics are highly resistant to extreme temperatures, but they tend to be hydrophilic (water-attracting) rather than hydrophobic. The MIT team decided to try making ceramics out of a series of elements whose unique electronic structure might render the materials hydrophobic: the so-called rare earth metals, which are also known as the lanthanide series on the periodic table. Since all of the rare earth metals have similar physic-chemical properties, the team expected that their oxides would behave uniformly in their interactions with water. “We thought they should all have similar properties for wetting, so we said, ‘Let’s do a systematic study of the whole series,’” says Varanasi, who is the Doherty Associate Professor of Ocean Utilization. To test this hypothesis, they used powder oxides of 13 of the 14 members of that series (excluding one rare earth metal that is radioactive) and made pellets by compacting and heating them to nearly their melting point in order to fuse them into solid, ceramic form — a process called sintering. Sure enough, when tested, all 13 of the rare earth oxide ceramics did display strong hydrophobic properties, as predicted. “We showed, for the first time, that there are ceramics that are intrinsically hydrophobic,” Varanasi says. This includes, Azimi says, their morphology, surface chemistry, crystallographic structure, grain structure, sintering temperature and density — yielding “a catalog of information” about how to process and use these materials. The MIT researchers also showed that the materials have greater hardness than many others currently used in rough industrial settings. MIT postdoc Gisele Azimi, left, displays three of the 13 different ceramic disks made from oxides of the rare earth elements, with associate professor Kripa Varanasi. Behind them is the furnace used to convert the powdered oxides into solid ceramic form. Photo: David Castro-Olmedo/MIT. Despite their name, rare earth metals are not particularly rare. “Some of them are as abundant as nickel or copper,” Azimi says — both of which are widely used industrially. 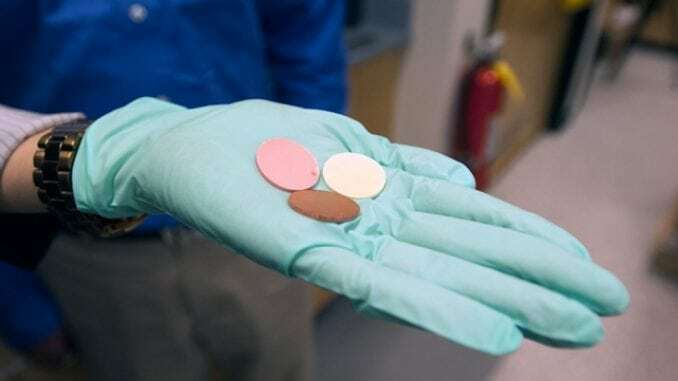 But separating rare earth metals from the minerals in which they are found can be costly and can leave toxic residues, so their production has been limited. China is currently the world’s major supplier of these elements, which have many high-tech applications. To prove the point, the team exposed some of these ceramics to a steam environment, similar to what they would face in a power-plant condenser. 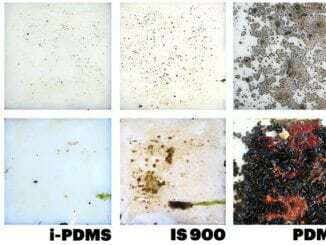 Typical polymer-based hydrophobic coatings quickly degrade when exposed to steam, but the ceramics kept their hydrophobicity intact, Varanasi says. The materials sustained their hydrophobicity even after exposure to abrasion, as well as temperatures of 1,000 degrees Celsius, Azimi says. By coating nano-textured surfaces with these ceramics at MIT’s Microsystems Technology Laboratories, the team also demonstrated extreme water repellency where droplets bounced off the surface. 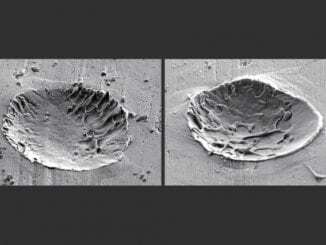 “These materials therefore provide a pathway to make durable super-hydrophobic surfaces as well, and these coatings can be fabricated using existing processes. This makes it amenable to retrofit existing facilities, Azimi says. Such extreme non-wetting properties coupled with durability could find applications in steam turbines and aircraft engines, for example. 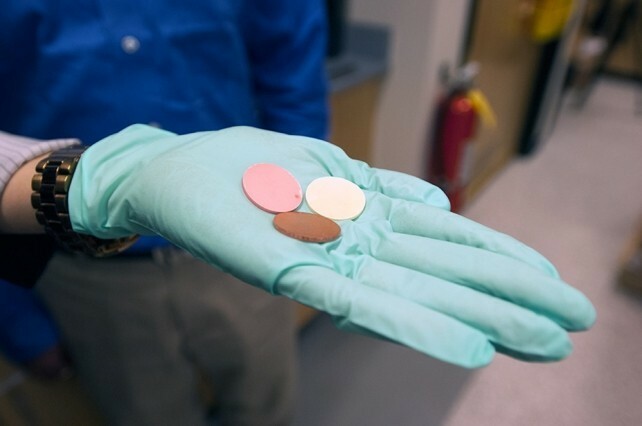 These water-shedding ceramics may find uses in steam-based power plants, desalination plants and other industrial applications. Photo: David Castro-Olmedo/MIT. The research, which included MIT postdoc Rajeev Dhiman and graduate students Hyuk-Min Kwon and Adam Paxson, was supported by the National Science Foundation, the Dupont-MIT Alliance, the MIT Energy Initiative and the Defense Advanced Research Projects Agency.